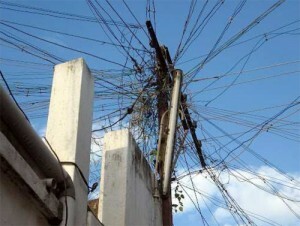 Around the world, the quality of the public electrical networks varies greatly. In certain countries, power outages occur very frequently and the poor quality of the electrical current supplied damages customers’ electrical equipment. The KW3, installed on the connection to the public network, makes it possible to filter harmonics and thereby deliver a perfect electrical current. In the event of a power outage, the KW3’s internal batteries instantaneously take over, thereby enabling perfect continuity in terms of the electrical service.